The Austin serial bombing suspect blew himself up in his car using at least one explosive device, after authorities identified him as the one responsible for a series of package bombs that have plagued the Austin, Texas, area since March 2, police said early Wednesday morning. The suspect, identified as 24-year-old Mark Anthony Conditt, killed himself while inside his car near a motel at as a SWAT team approached, in response to authorities firing at his car, police said. 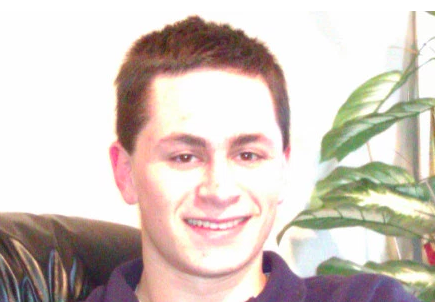 A Facebook photo surfaced Wednesday of Conditt, and it was verified by the Austin American-Statesman as having been posted to Facebook by his mother, Danene Conditt, in 2013 following his high school graduation. While the man has been identified as the primary suspect who made the package bombs, authorities said they haven’t ruled out if he had help. Interim Austin Police Chief Brian Manley said authorities “tracked down the suspect’s vehicle to a Round Rock-area hotel,” and as “[police] began following the suspect’s vehicle, and as SWAT approached, the suspect detonated a bomb in the car, Manley said,” the Austin American-Statesman reported. No motive for the bombings has been identified. Police said the suspect is responsible for all five Austin package bombs. Police staked out the area around the motel, but then the suspect fled, Manley said, which resulted in a police pursuit and shots fired. “The suspect is deceased with significant injuries,” Manley said, Fox News reported. Authorities also cautioned that there could be more package bombs out there, and to exercise caution and alert authorities. Authorities on Tuesday night responded to sixth package explosion, this one an incendiary device in a package, in Austin that injured at least one person. The FBI said the sixth package explosion did not appear to be related to the previous five, and it may be a copycat. However, Texas Attorney General Ken Paxton said law enforcement officials told him all bombings on Tuesday were from the same suspect. It was the fifth package explosion in Austin itself, and the sixth in Texas since the beginning of the month in what is suspected to be the work of a serial bomber. A package bomb exploded early Tuesday morning at a Texas FedEx facility near San Antonio, according to police, who believe this package was on its way to Austin. And, officials discovered a sixth explosive package later on Tuesday at a separate FedEx that did not detonate. A fourth package bomb exploded on Sunday night in Texas and left two more people injured. Police believe this bombing – the fourth since March 2 – is likely related to the other three incidents earlier this month, except this detonation used a trip wire. Two people have died and at least five others have been injured in package bomb explosions in Austin this month.